Part of the Canadian Pizza chain. 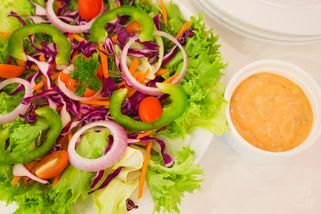 Located at the 1st floor of Giant Kota Damansara, take the escalator up to the hypermarket, walk towards shops opposite Poh Kong Jewelery Shop, Canadian Pizza is at the back of The Chicken Rice Shop. 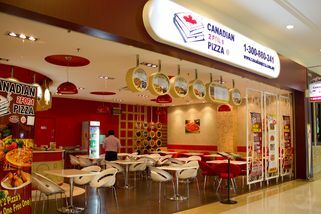 The first Canadian Pizza outlet was open in Singapore back in 1998. 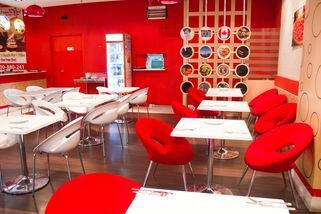 As the outlet grew from one to 28 branches, they decided to bring Canadian Pizza to neighbouring countries like Jakarta and Malaysia. There are over 20 varieties of pizza to choose from, each available in pan crust, thin crust, or cheesy double crust and with the option of extra toppings or extra cheese. 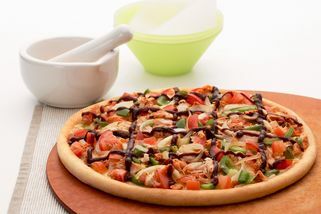 The most popular Canadian Pizza is the BBQ Chicken Bonanza Tender Chicken Breast which is served with a special BBQ sauce, fresh tomatoes, capsicum, onions and cheese. 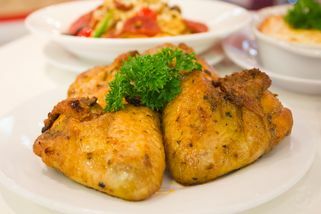 Other than pizza, there are selections of chicken wings and pastas to go along. If you can’t have enough of cheese, try the Cheesy Breadstix; it's made of 3 types of cheeses, taste as delicious with or without Marinara Sauce. 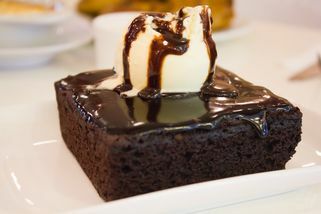 Additionally, they also serve dark, rich and irresistible New York style Chocolate Brownie serves with ice cream. 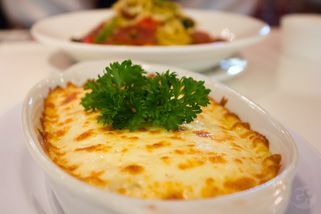 Canadian Pizza at Kota Damansara appear to have a cosy ambience and spacious with modern furnishing. It’s a perfect place for family and friends. Call or dine in today for 2 for 1 pizza – Why not? Let's get this out of the way - Yes, the concept here is that you buy ONE pizza and get another for *free. But that ONE pizza alone costs RM42.90. Toppings are scarce (but of course, they have to save cost in order to give you that other *free pizza). My wife and I went to try their Italian Classic (RM42.90) and Meat Lover (*free). We can't recommend either. In fact, my wife to one bite and gave up instantaneously. We also ordered what they try to pass off as Arabbiata pasta (RM14.80). It's just some generic tomato-based sauce on top of penne. The taste was acceptable - possibly coz we were hungry. I rarely write poor reviews but for this, I just can't see how I can recommend it to others. Unless of course they do some radical changes and vastly increase their quality. To Canadian Pizza, I suggest you come up with a different strategy. Rather than bundling two pizzas for the price of one, why don't you make better pizzas and charge accordingly. Note: The term *free is used very loosely. It's not free when you're already paying that much for such low quality pizzas.